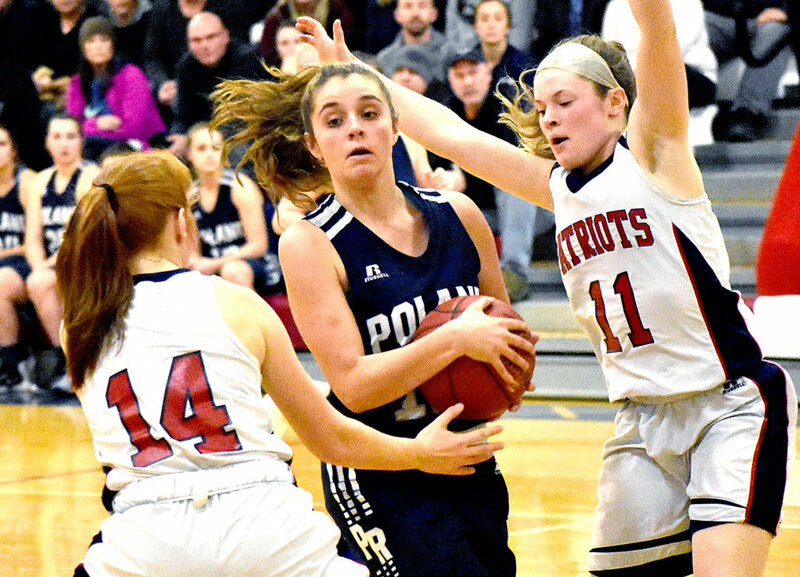 GRAY — Gray-New Gloucester’s two-headed monster was the difference Thursday night when the Patriots faced rival Poland in their home opener. Jordy Grant scored 24 points and pulled down eight rebounds, all while Bri Jordan played lockdown defense at the other end in Gray-New Gloucester’s 47-37 victory in a WMC Class B South girls’ basketball clash. “Obviously, we needed to worry about Grant and Bri big time, because they’re their two playmakers,” Poland coach Tim Dolley said. Jordan and Grant gave the Knights (3-2) a cause for concern early. Jordan scored five of her six points in the first quarter, and Grant scored five. The Patriots (3-1) jumped out to a 9-0 start and led 12-5 after one quarter. 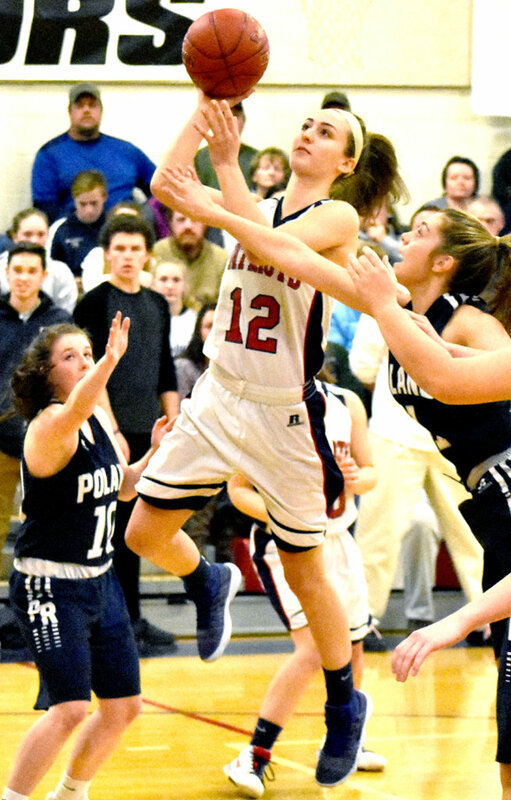 “The first quarter, I think we couldn’t knock down shots, which happens with Gray-New Gloucester’s length, and they play really good defense. 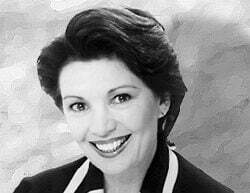 I think that really deterred us,” Dolley said. The defensive effort started with Jordan, the Patriots’ junior captain and elder stateswoman. 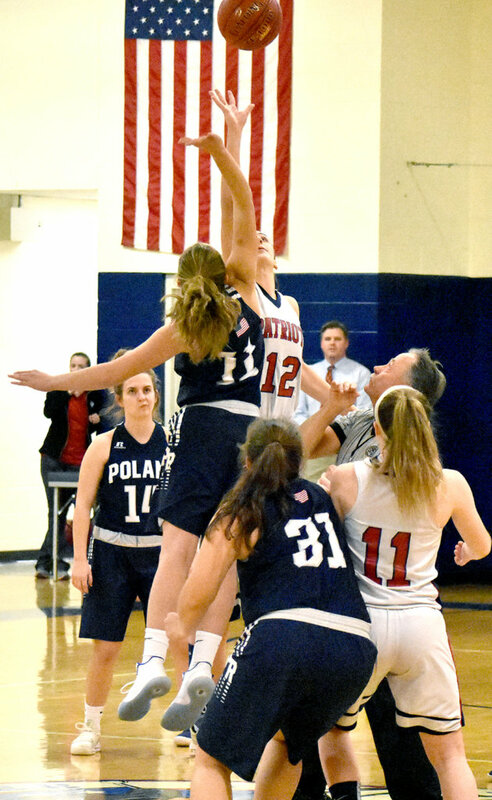 She was tasked with guarding Poland senior Natalie Theriault. Theriault scored the Knight’s first points on a pair of free throws, but she was held scoreless beyond that until the fourth quarter. She didn’t hit a shot until just over four minutes left in the game, scoring eight of her 10 points in the final period. The Knights had no answer for Grant defensively. She scored six more points in the second, including finishing off a 2-on-1 layup from Jordan in transition out of a timeout. The Patriots couldn’t pull away any in the second, however, and led 22-15 at halftime. Dolley was hoping his team could come out and chip away within the first five minutes of the third, but the score started going the other way. 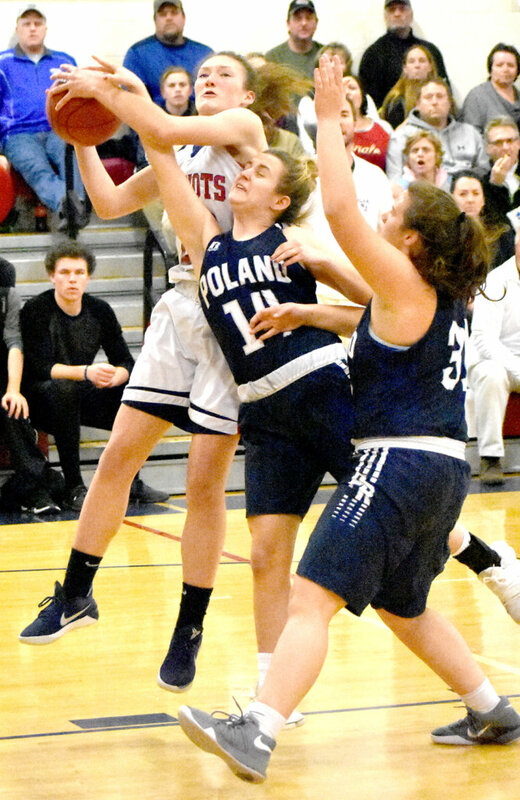 The Patriots opened up a double-digit lead before five minutes had elapsed, and they were on a 13-3 run when Dolley called a timeout in the final minute of the frame. 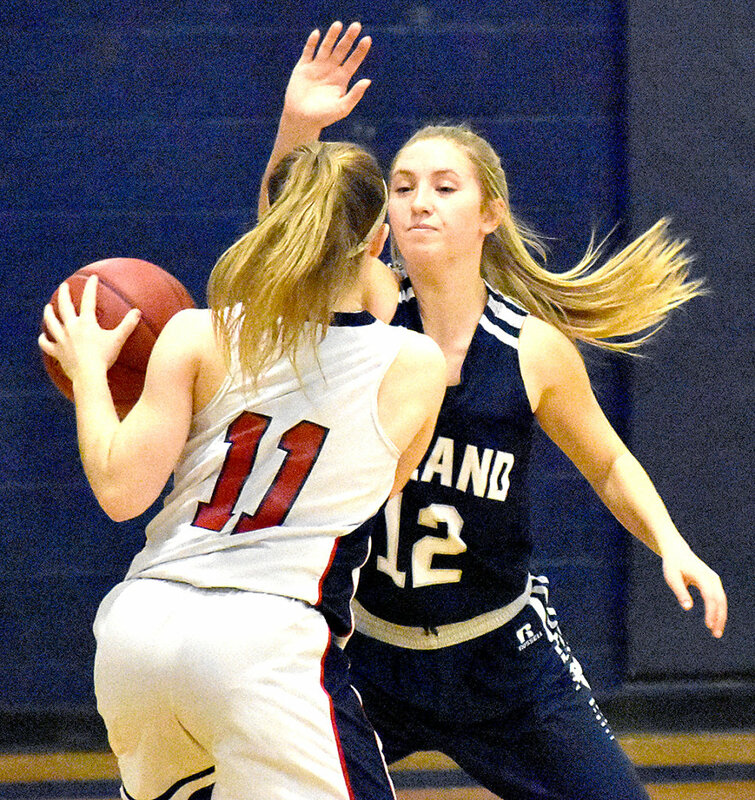 The margin was 35-23 heading into the fourth, and it stretched even further before the Knights — led by Theriault and Jess Seeley — narrowed it in the closing minutes. Seeley led Poland with 16 points, all of them coming in the final three quarters. The Knights now will try to pick up the pieces after a second straight loss following their 3-0 start. The Patriots, meanwhile, are starting to pick up the pace after graduating the core of last year’s state championship team.